Many people equate the legal system with matters pertaining to criminal charges, when in fact it is much broader and encompasses family law as well. If you consult a family lawyer in La Plata, you may have a variety of issues to resolve, such as divorce, spousal support, child support, or child custody. Your family law attorney also has expertise in matters such as prenuptial agreements, adoption, and guardianship. Sometimes, matters of family law and criminal law intersect. You might visit a family law firm because of domestic violence, for example. The attorney can help you secure a restraining order against a spouse or partner. Issues pertaining to family law can be highly complex. 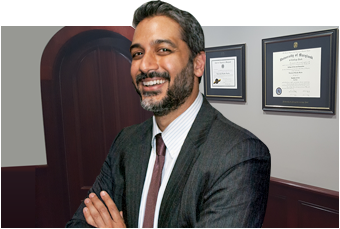 Your family lawyer can help you understand your legal rights and options. You may not necessarily need to resolve problems with a trial, for example. Often, family law mediation is recommended. This is an arrangement by which two parties can discuss the matter at hand and reach a mutually favorable agreement. Unfortunately, this informal proceeding may not lead to a legally binding conclusion, which is one reason why your family lawyer might recommend arbitration instead. Arbitration is similar to mediation; however, the parties must abide by the arbiter’s decision.